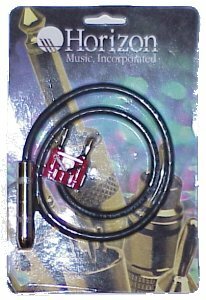 Allows high-impedance a high impedance microphone to be connected to balanced low-impedance inputs. 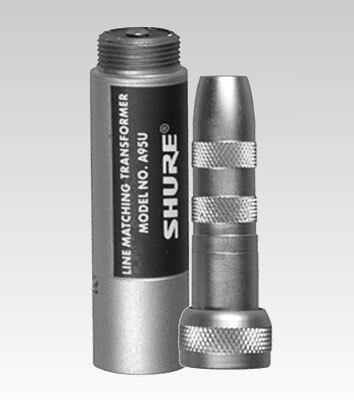 The Shure A95U is a reversible transformer that matches low- or high-impedance microphones to high- or low-impedance inputs. The transformer permits use of very long microphone cables with high-impedance microphones. However, when connecting a high-impedance microphone, limit the cable length between the microphone and the transformer to 4.6 m (15 foot). The cable from the transformer to the low-impedance input can be any desired length. The transformer prevents high-frequency loss, level loss, and pickup of noise and hum. The A95U comes furnished with a Male XLR connector on the low-impedance end, with a 1/4 inch phone plug and phone jack adapter on the high-impedance end.